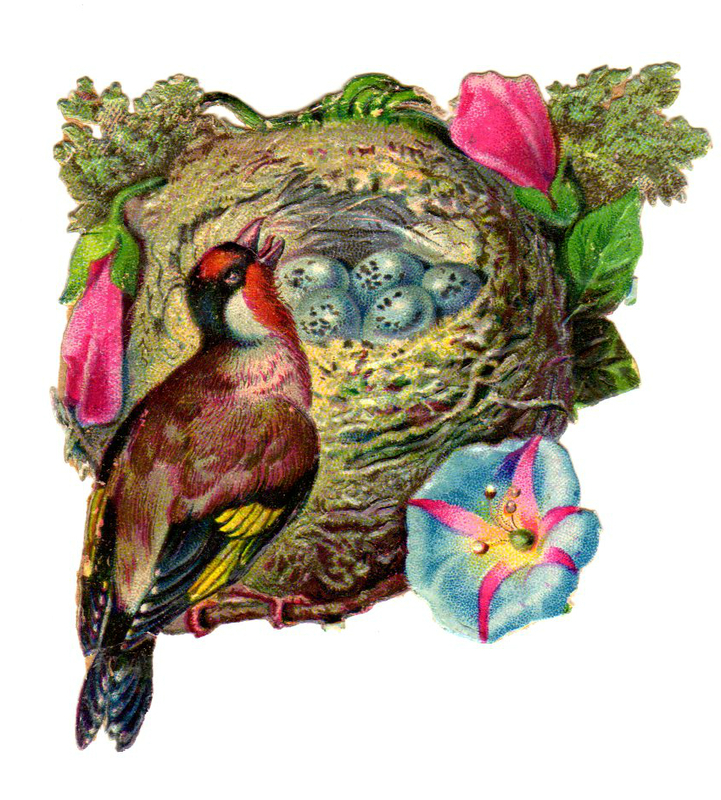 This copyright-free vintage illustration of a bird with nest and wildflowers is free to use. You many use and modify this image for your personal, commercial, and educational projects without permission. A link back to this site is required if you share or post this image on your own blog, website, social media, or any other web page online.